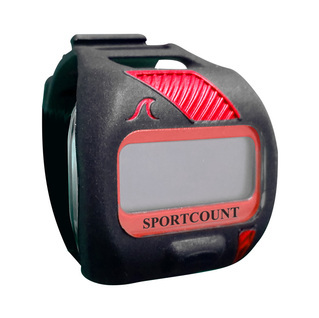 For those longer workouts on the track or in the pool, take a look at other lap counter models from SportCount. Very hand lap counter that fits on your finger, rather than your wrist. This is an improvement over the previous model that only counted laps and total lap time. I like the improved feel of the button and the added features of average lap time, slowest and fastest laps. Easy to use. The only improvement for the next model would be a downloadable version to watch/eval progress over multiple swims. Very good value.